It has been a fascinating year on so many fronts and none less than the real estate market. Much of life these days seems to be driven by fear; fear around safety, whether it is from terrorism or just simply walking the streets, fear of conflict in the world, whether it is North Korea or the Middle East, fear of missing out, which has been exacerbated by social media and seeing what others are doing on a daily basis, and of course fear about our own financial security in this world and, more recently, making good decisions around our real estate holdings. I have some news that might truly surprise you. The 2018 Credit Suisse Global Wealth Report has just been released and it shows that Australians have overtaken the Swiss to be No. 1 in the world when it comes to highest median wealth. According to the report, which analyses the wealth held by five billion adults across the globe from the least affluent to the wealthiest individuals, the median or ‘middle’, level of wealth which is really assets minus debts. The report shows that collectively Australians have a net worth of almost $10.4 trillion. This includes assets worth $12.8 trillion, minus liabilities worth $2.4 trillion. As we read the papers and listen to the news reports we know that most of us are complaining about our wages not having increased or dealing daily with fuel prices or energy prices and that we could not even possibly relate to the findings in that report. We would probably be suggesting that is just the highest 2 – 3% wealthiest in the country. However, this report was based on a comparison of the rest of the world. On that basis, we are in the Top 2 – 3% of wealthiest people in the world. It does really show us that we so often concentrate on the glass being 20% empty rather than 80% full. In terms of the real estate market, through 2015, 2016 and 2017 everyone was worried about missing out on rising prices in the real estate market. Now, they are fearful of a bit of a correction in the real estate market, as happens in stock markets, bull in markets, currency markets etc. They forget that our economy has delivered a recession-free period for well over 25 years and is now performing better than it has for quite a number of years. They forget that our interest rates are at historic lows and unlikely to increase significantly at any time soon. They forget that our unemployment has been falling for quite a long time and that we are pretty much at full employment levels. They forget we are not building enough dwellings to accommodate the ever increasing population, and they forget that markets do go in cycles and that it is about understanding and riding those cycles so as to play the long game and not the short game. According to the Credit Suisse Report, the average wealth per adult in Australia has increased to USD $411,060, mainly courtesy of property and superannuation. The people at the biggest risk of missing out on being financially strong are those who are not in property. In fact, since 2000, the average growth rate of wealth per Australian adult was 12% per annum. I imagine many are struggling with the concept that we are the richest people in the world. We should also remember, not only are we on average the wealthiest people in the world, but we live in this spectacular country. Australia: devoid of so many of the issues that confront Europeans, Americans, Africans and so on. 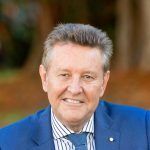 Sure, we all want things to be even better and sure, we will always attend to issues that need addressing, but we should be eternally grateful for the fact that we are the lucky country and the learning’s from this report are: keep building your property portfolio and keep building your superannuation. We are certainly in the midst of finalising all the participants in the upcoming and exciting Event program for January. This is where we present a magnificent array of Gold Coast property to the biggest audience ever each year on the Gold Coast, and that is, of course, the Christmas/January period when the Gold Coast bulges with visitors here to enjoy their summer break. It is when we have the highest volume of buyer enquiry and so if you are a prospective seller; upgrading, downgrading or just freeing up some cash, give us a call on The Event hotline 1800 198 009 and we will give you a lot more information about The Event. Stay safe and be kind to one another.